A passion for comic books is felt all around. Scott admits, "Personally, I love comic books and our network executive shares that passion." 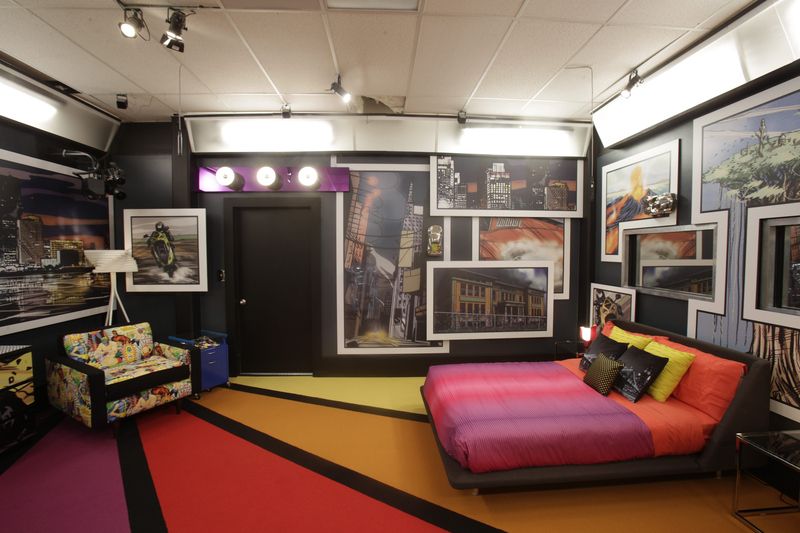 This certainly explains the fun concept by which this room was built around and brought together with the custom-made vibrant carpets and white frames against a bold black wall. Even the gorgeous duvet covers are custom stitched.